When it comes to installing insulated roller shutter doors in Sheffield, there is not a better company for service, quality and professionalism. 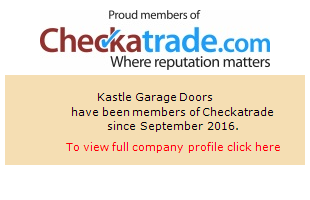 Our team of garage door installers have years and years of experience of installing and repairing garage doors throughout Sheffield and West Yorkshire and our work speaks for itself. These two roller shutter garage doors were installed last week to suit the customers colour and design needs and as you can see are professionally installed. If you are looking for a professional insulated roller garage door installer in the Sheffield area, then make sure you contact us today for a free quote! There are many companies in every state which offers such best quality work with rolled shutter garage doors. You are not the only one which offers such work in your area, there may be some other one's also. It depends upon how you work and what kind of work you provide to your client's.